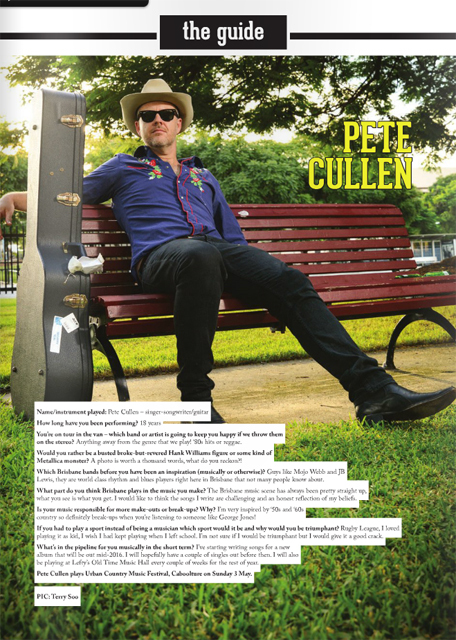 Pete Cullen brings a bit of cowboy swagger to our The Music Magazine’s (Brisbane) – “The Guide” section cover shoot this week. 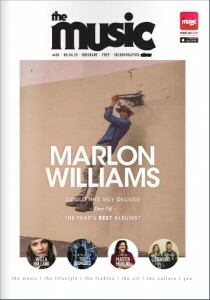 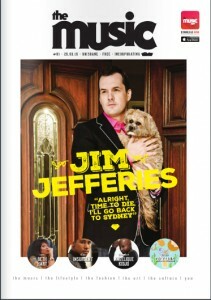 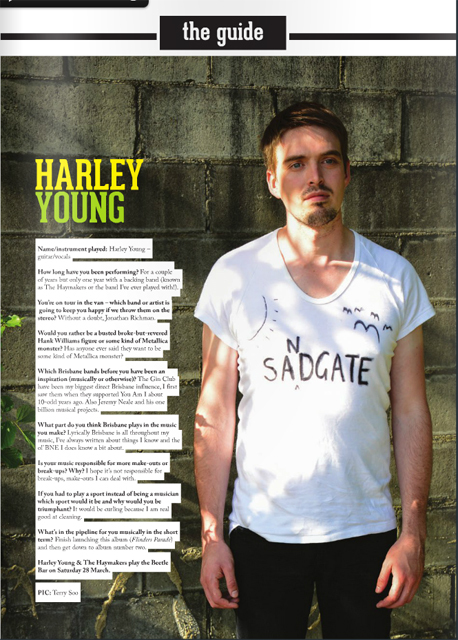 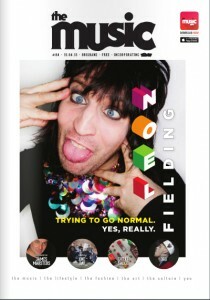 Read about him in this week’s issue of The Music (Brisbane) #086. 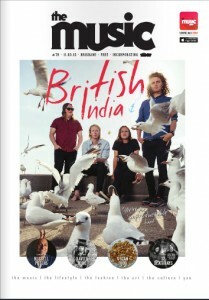 And if you missed last week, hit the online version to catch the skinny on rockers, Grieg. 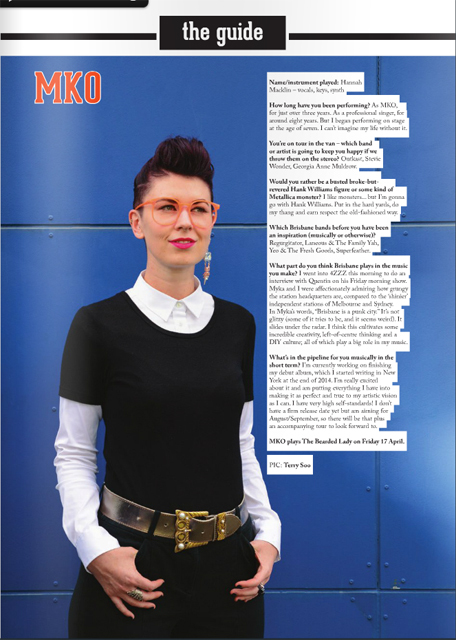 Multi-talented songstress and QMA award winner MKO graces our The Music Magazine’s (Brisbane) – “The Guide” section cover shoot this week. 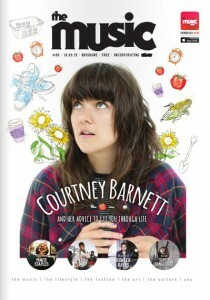 Read about her in this week’s issue of The Music (Brisbane) #084. 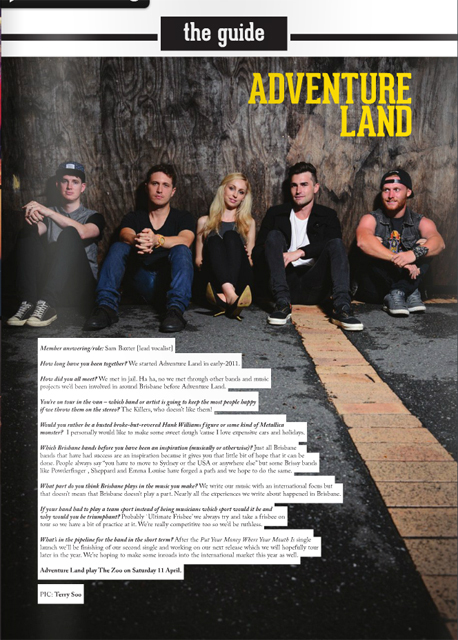 Adventure Land, no, not that movie with sadface Stewart but the band creating their own fun and good times with no height limit cash in their prize tickets for our The Music Magazine’s (Brisbane) – “The Guide” section cover shoot this week. 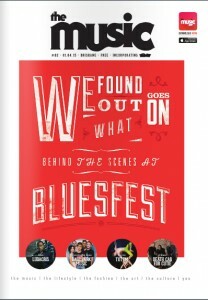 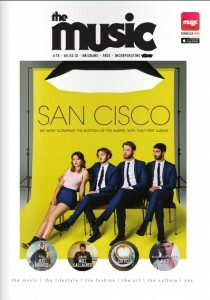 Read about them in this week’s issue of The Music (Brisbane) #083. 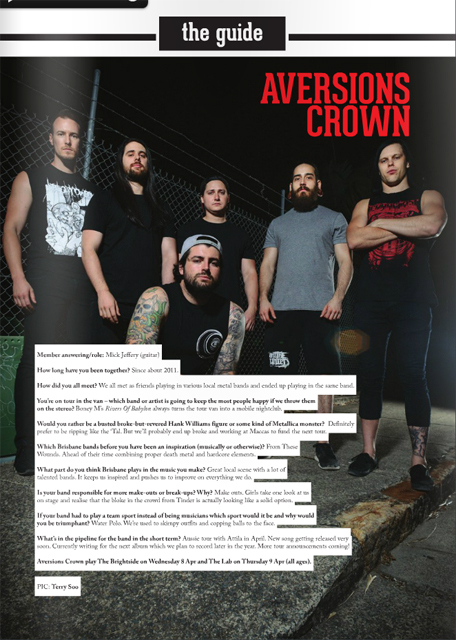 Wall of sound and noise creators and destroyers Aversions Crown tear out shoot for The Music Magazine’s (Brisbane) – “The Guide” section cover at new one this week. 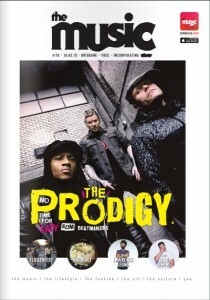 Read about them in this week’s issue of The Music (Brisbane) #082. 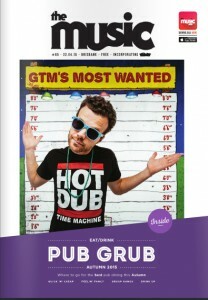 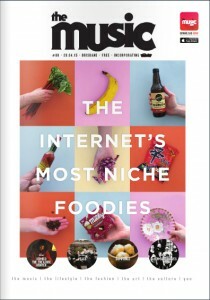 Guards of May are in for our The Music Magazine’s (Brisbane) – “The Guide” section cover shoot this week. 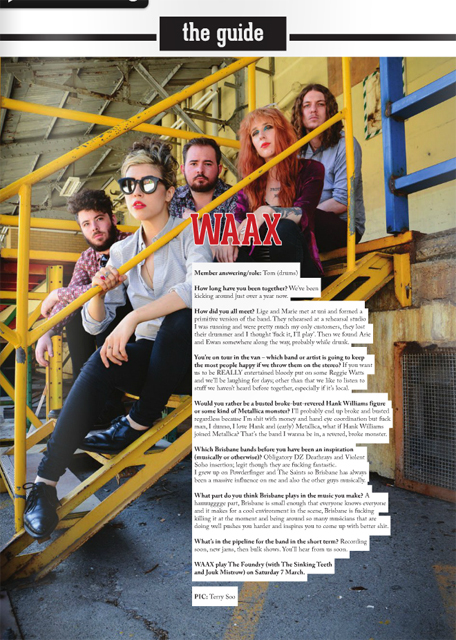 Read about them in this week’s issue of The Music (Brisbane) #077. 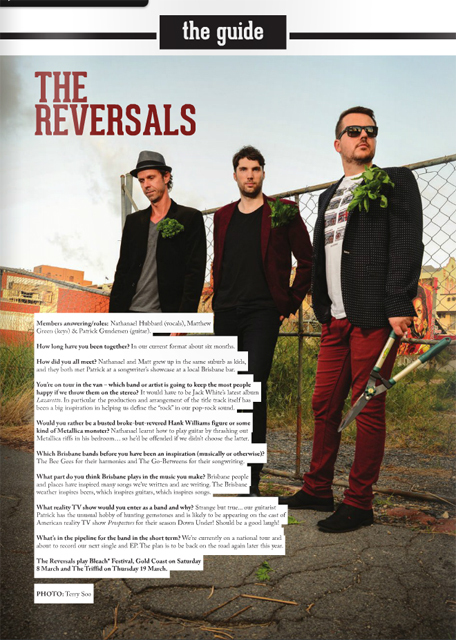 The backwards men, the backwards men The Reversals put their thang down, flip and… you got it, reverse it for our The Music Magazine’s (Brisbane) – “The Guide” section cover shoot this week. 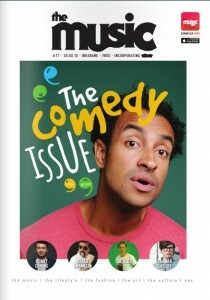 Read about them in this week’s issue of The Music (Brisbane) #076.